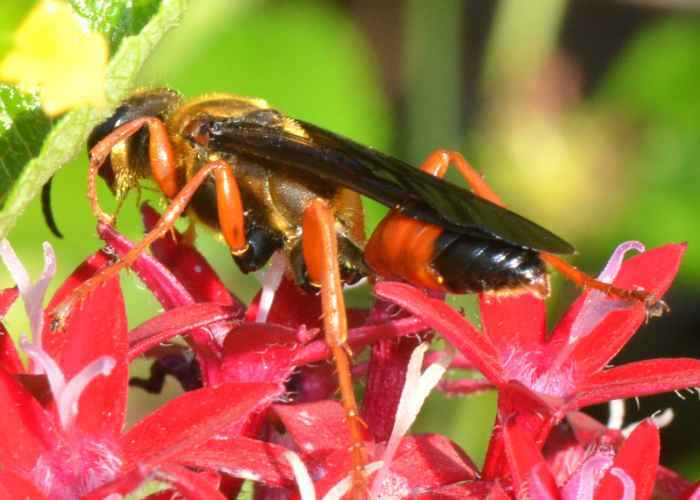 Sphex ichneumoneus (Great Golden Digger Wasp). Size: approx. 20 mm. Photo: 09/03/11, 10 am. 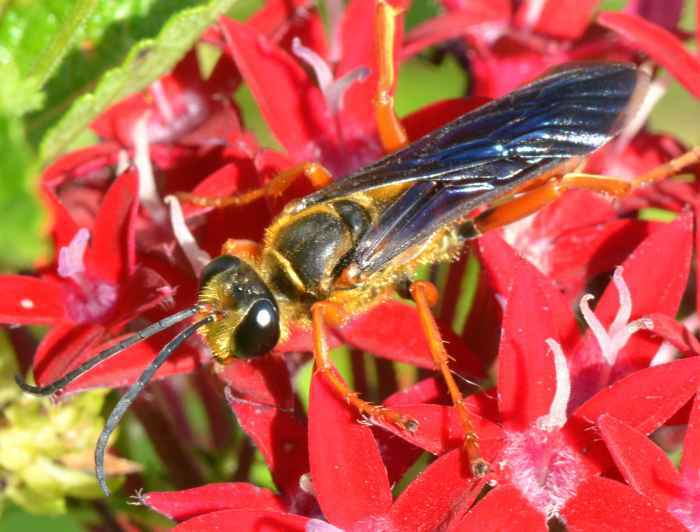 The Great Golden Digger Wasp (Sphex ichneumoneus) is found throughout the US. Females dig burrows almost vertically into sandy soil. Radiating out from the central tunnel are cells. Each cell holds one larva and one paralyzed cricket etc. as provision.